With a successful kickoff-meeting at the beginning of June 2017 in Oslo, a new European H2020 funded research project has begun its work. 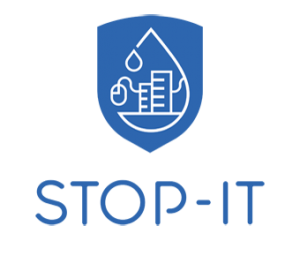 The project STOP-IT (Strategic, Tactical, Operational Protection of water Infrastructure against cyber-physical Threats) focuses on finding solutions to protect critical water infrastructure against physical and cyber threats. Over the course of the next four years, a team of major water utilities, industrial technology developers, high tech small and medium sized enterprises (SME’s) and top European Research and Development (R&D) providers across Europe and Israel will work together closely. The STOP-IT solutions are going to include mature technologies, like public warning systems and smart locks that are improved by their combination and embedment. There also will be novel technologies, including fault-tolerant control strategies for supervisory control and data acquisition (SCADA) integrated sensors, high-volume real-time sensor data protectiohttps://webtest2.iww-online.de/protection-of-critical-water-infrastructure-european-research-project-stop-it-has-started-2/n via blockchain schemes, irregular human detection using new computer vision methods and WiFi and efficient water contamination detection algorithms. The solutions are tested and demonstrated with a front-runner/follower approach, where four advanced front-runner utilities, Aigües de Barcelona (Spain), Berliner Wasserbetriebe (Germany), Mekorot (Israel) and Oslo VAV (Norway) are twinned with Hessenwasser (Germany), Bergen Kommune (Norway), Emasagra (Spain) and DeWatergroep (Belgium), to stimulate mutual learning, transfer and uptake of the STOP-IT solutions.